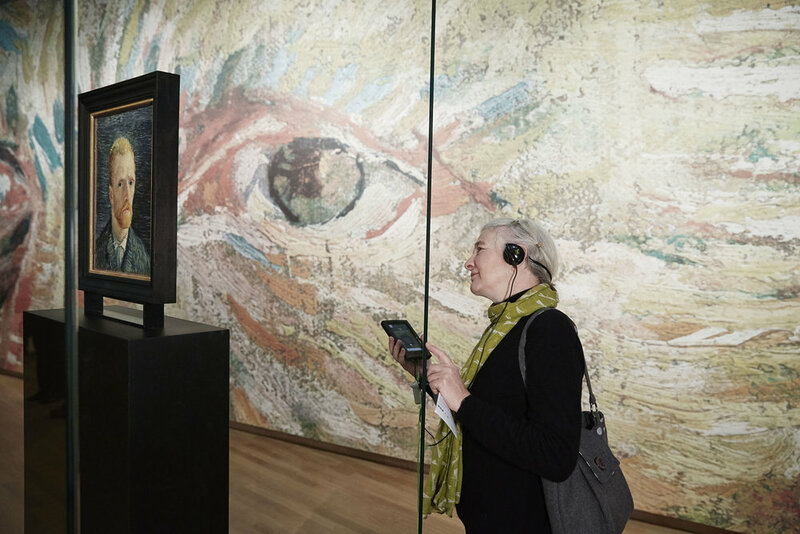 In November 2014, the Van Gogh Museum presented a new layout for the permanent collection. The new approach makes the development of Van Gogh as an artist the central focus. At the same time as the new interior, the Museum introduced the new multimedia tour. Images, games and audio in three user-friendly tours, in 11 different languages, all of which can be played on a single new state-of-the-art device from Imagineear. But above all, you take a plunge into the life of Van Gogh, his paintings, his letters, the myths. Sometimes playful, sometimes moving, it is a tour that touches you. You really get to know Vincent. The multimedia tour was awarded in 2015 with a Dutch Design Award in the category Service & Systems.